Many are aware of what drones are, but we have only begun to consider its impact on businesses, society, and the economy, both locally and globally. You’ve probably caught a glimpse of these little mechanical birds hovering in the the sky, but instead of hearing chirps and tweets, you’ll hear a distinct whirring noise that sounds almost like a lawnmower. We’re talking about drones, a piece of technology which was popularised by photographers and videographers to showcase their creativity through Instagram shots and vlogs. However, the usefulness of drones extends far beyond what social media would have you believe. Instead, drones can be used to save costs and time across a variety of industries. According to this report by PricewaterhouseCoopers (PWC), the global commercial market for drone technology is valued at $127 billion for the upcoming years. Malaysia is currently looking into converging drone technology in the agriculture, e-commerce, security and surveillance, and logistics industries among others. But what exactly do we mean when we say drone technology, though? Here’s a quick breakdown. Armi from OFO TECH defines DroneTech as the technology that powers unmanned aircraft that is remotely or autonomously controlled using built-in software. That explains why certain drones can be controlled remotely using your smartphone, because the software embedded in the device works together with sensors on the drone to perform tasks. If you’re an avid player of video games, you’ll have noticed objects known as Unmanned Aerial Vehicles (UAVs) flying around. Actually, drones aren’t that much different. Drones were initially used for military purposes for surveillance and intelligence gathering. As a result of technological advancements, the sizes of these machines have become smaller and smaller—while their application in our everyday lives has greatly expanded. Nowadays, people use drones for aerial operations (e.g. property developers can get a bird’s eye view of their assets) and for precision agriculture (e.g. helping farmers manage their crops better) as they are operationally much cheaper than using aeroplanes or helicopters. Due to its disruptive nature, drone-based solutions offer an enhanced work performance at a lower cost, driven by the underlying technology, which has been it optimised for industrial efficiency. Another example of drones being used commercially is in the e-commerce and logistics sectors, with delivery companies looking into the possibility of using drones to deliver products. Artificial Intelligence (AI) is another vital element for drones in the near future, enabling them to fly autonomously with lower degrees of error. “To us, AI is the holy grail. It’s not about the physical hardware. 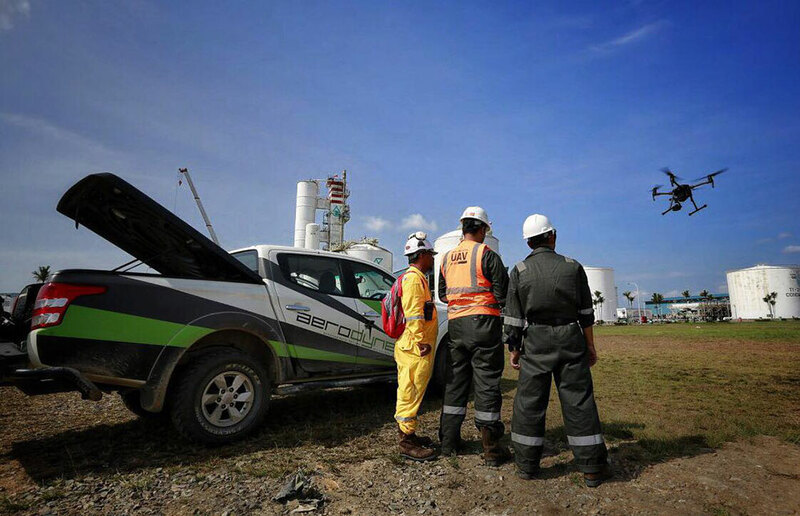 Drones are dumb flying devices, it’s all about automating the process,” said Kamarul Muhamed, CEO and founder of Aerodyne group, a Malaysian drone-based solutions provider that has been ranked at 7 in DRONEII’s 2018 Drone Operator Ranking report (Aerodyne is the only Malaysian company that made it into the rankings out of hundreds of companies around the globe). 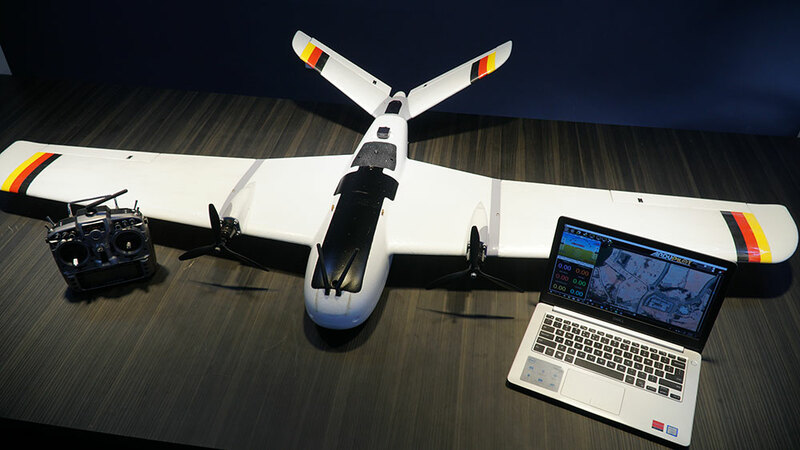 Already providing drone-based solutions around the globe with offices established in 23 countries (and growing) in less than 3 years, Aerodyne is also looking into delivery as its first B2C venture. These developments have led to the establishment of institutions to help up-skill the local workforce to adapt to this new economy, such as Asia Drone & IoT Technologies and Drone Academy Asia, which focus on providing training to aspiring drone pilots as well as obtaining proper certification which allows them to market their skills globally. What Lies Ahead For DroneTech? Aerodyne’s impressive growth is a positive signal for Malaysia’s drone economy, and there is tremendous opportunity for other local companies to tap into this rapidly emerging economy. 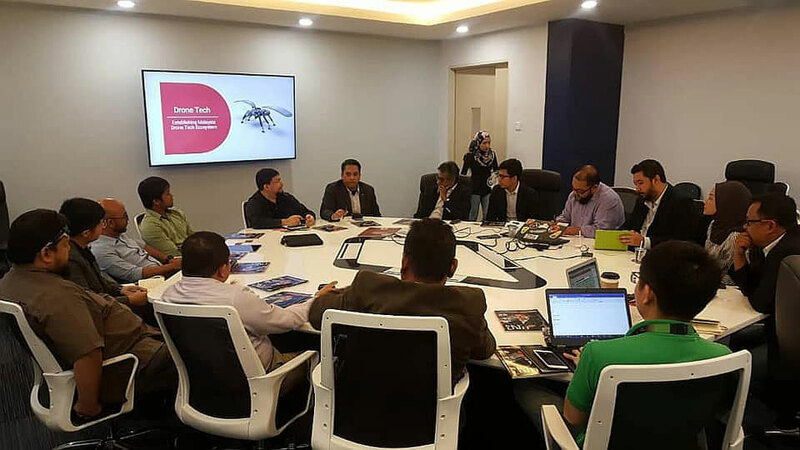 In line with this, the Malaysian Digital Economy Corporation (MDEC) has been working on bringing the players and stakeholders involved in DroneTech together, to help local companies take advantage of bigger opportunities and go global. 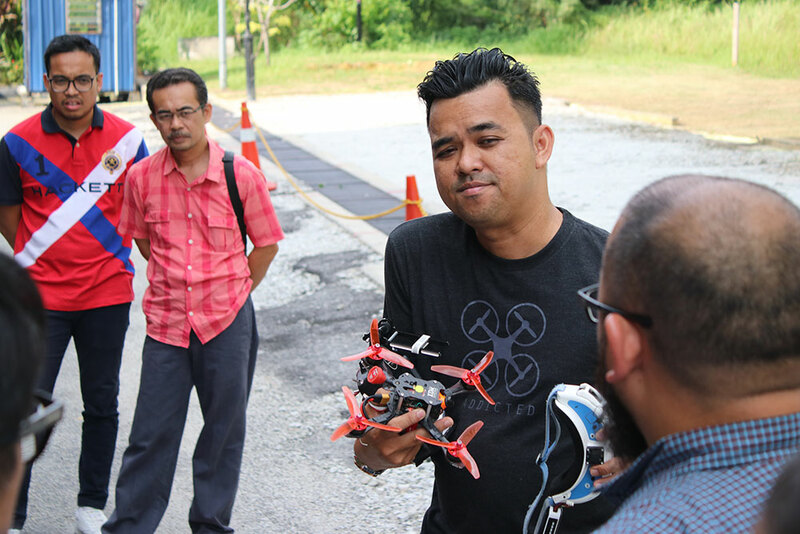 A member of Aerolumba (a local Aerosport event company) showcasing one of their racing drones at MDEC’s recent DroneTech sharing session. 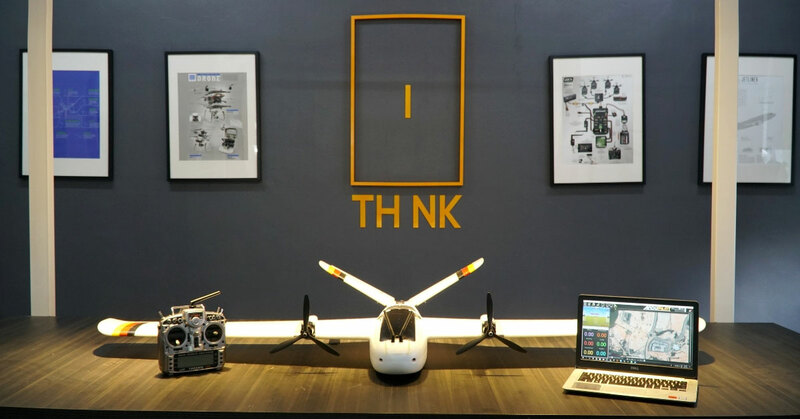 MDEC’s Global Acceleration and Innovation Network (GAIN) program is helping home-grown and Malaysia-based drone companies such as Aerodyne to “Grow Fast and Go Global”. While Aerodyne may have been the only Malaysian drone company ranked in DRONEII’s top 20, they aren’t alone in growing the local drone economy. Local companies such as Poladrone, OFO TECH, IR Technic, Average Drone, Tinjau Mahir, and Pulsar UAV are also ready to take their operations onto the global stage. 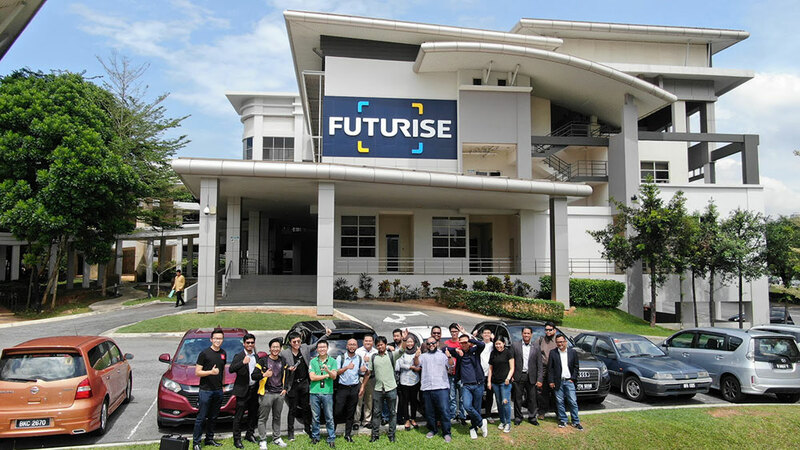 As for the future, MDEC, together with Futurise Sdn Bhd (a wholly-owned subsidiary of Cyberview Sdn Bhd), is also looking to position Cyberjaya as the world’s first drone-friendly city with a living lab approach. So the next time you’re around Cyberjaya, head over to Futurise—the Obama oval is now a drone-friendly area. The plan here for Futurise is to introduce a deregulated zone for DroneTech to make it easier for industry players to participate in research and development activities. Accordingly, Armi from OFO TECH reveals that public awareness toward DroneTech needs to be significantly improved. 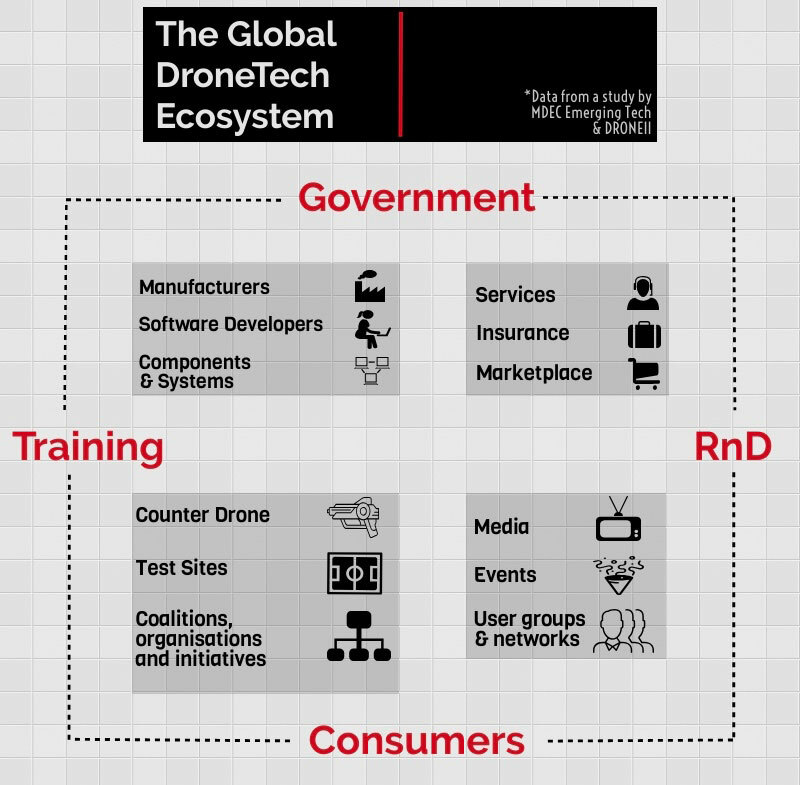 Regulations and red tape are certainly obstacles, but Armi argues that a more forward-looking regulation focusing on developing drone economy and its commercial applications will help accelerate adoption of DroneTech by the masses. From a national economy perspective, we have reached a point where it’s important to increase awareness of the drone economy and to help retain the technological expertise in Malaysia. It’s a process, but who knows: In the future, we could see Malaysia being a global hub for DroneTech, which would then help attract more Foreign Direct Investment (FDI) in aerospace and robotics technology. Due to its widespread applications, with more to potentially follow, this would have a beneficial ripple effect across various industries and soon enough, we’ll be seeing drones everywhere in our daily lives. After all, we’re on the brink of the 4th Industrial Revolution. 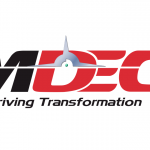 You can find out more about the MDEC GAIN program here. This article is written in collaboration with MDEC GAIN.